Fast & Furious 7: Michelle Rodriguez vs. Ronda Rousey awesome fight scene in Meet The Cast! Release date in the states is April 3rd, lets hope that is a world-wide date, as I for one, cannot wait for the seventh instalment of this awesome franchise of Fast & Furious Films. 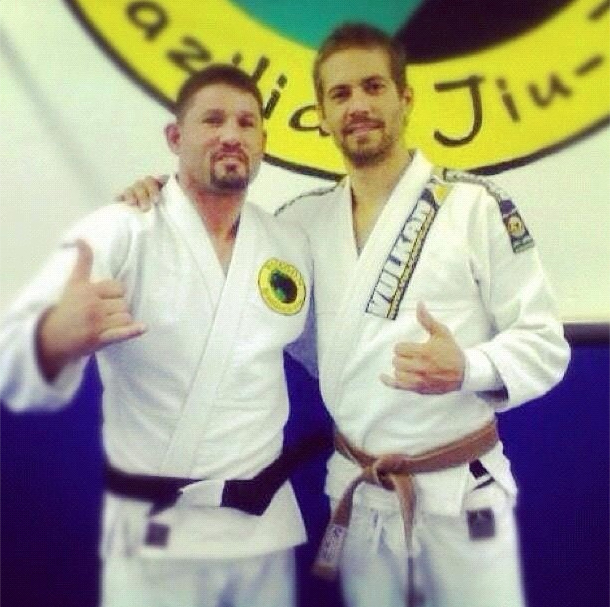 Also this is the last film the great actor and BJJ practitioner Paul Walker will star in, for which he never got to complete, due to his life, tragically being cut short in a car accident on 30th November 2013. Author Emma BramfordPosted on March 23, 2015 Categories BJJ, Film Review, News, Video, WMMATags Badass female fight scene, Chris “Ludacris” Bridges, Djimon Hounsou, Dwayne 'The Rock' Johnson, Dwayne Johnson, Elsa Pataky, Fast & Furious, Fast & Furious 7, Fast & Furious Films, Jason Statham, Jordana Brewster, Kurt Russell, Lucas Black, Ludacris, Meet the Cast, Michael Fottrell, Michelle Rodriguez, Neal H. Moritz, Paul Walker, Ronda Rousey, the returning cast, Tony Jaa, Tragic car accident, Tyrese Gibson, Vin DieselLeave a comment on Fast & Furious 7: Michelle Rodriguez vs. Ronda Rousey awesome fight scene in Meet The Cast! Ffion Eira Davies is a name that should firmly be on everyone’s lips in the world of MMA. If you have not heard of this bright, talented,upcoming, future star, then please let me introduce you to her. Making her second amateur MMA appearance on Saturday, February 21st at UIC14, GL1, Gloucester. The 20-year-old from Wales, who trains out of Chris Rees Academy in Swansea is no stranger when it comes to competition, having been competing in Judo since age 9 and BJJ for the last 18 months. 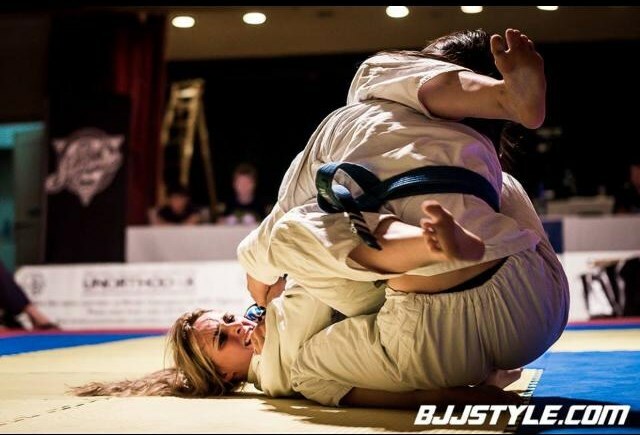 I managed to speak with Ffion to find out more about her, her achievements in the world of Judo and BJJ, MMA and Ronda Rousey. You maybe ‘new’ on the MMA scene but you’re not on the BJJ scene. Can you talk me through all your achievements please. I started BJJ about a year and a half ago now, originally just as a hobby. It’s quite funny because I always hated groundwork in judo and avoided it at all costs! But I ended up falling in love with it, and since then I’ve won the British gi and no gi, Paris gi and no gi, the Welsh gi and no gi, NAGA at my own weight and the absolute (blue and purple belt) and most recently the European championships in Portugal all at blue belt. So far I’ve not lost a BJJ match. Not only contempt in BJJ, you started out in Judo; at what age did you start training in Judo, then competing? What achievements have you achieved in the world of Judo? I started judo when I was about 9 years old, and started competing 3 months later. I won the Welsh a few times and the British twice as a Cadet/Junior. I trained full-time for a year in Sophia Gardens with the Welsh National Coach Craig Ewers, but I noticed my passion for judo was dwindling after so many years of competing and decided I wanted something fresh. That’s when I found BJJ which led me to MMA. You train out of Chris Rees Academy who trains many up and coming champion MMA athletes, along with arguably one of the best Bantamweights Wales have seen in a long time, Brett Johns, who also comes from a judo background and who also was the Cage Warriors World Bantamweight Champion. How does it feel to train with another high level Judoka who has made the transition into MMA? It’s quite funny because one of the main reasons I started MMA was because of Brett! We were in the same comprehensive school, he was in my brothers year, and we also did judo together growing up! I saw his posts on Facebook about MMA and I was amazed by it, at the same time Ronda Rousey had become big on the scene and I saw that the transition from a judo background would be pretty ideal for me! It’s amazing to have such a high level fighter as a teammate and friend, it’s very motivating. I’m looking forward to him claiming another world title! Was it always the ‘plan’ to make the transition to MMA, having had the Judo and BJJ background, or was it something that just progressed organically? No not really, BJJ and MMA were supposed to be fitness hobbies. But I’m hugely competitive and couldn’t resist competing in the end! Are there any other disciplines you are quite well versed in? Was you already doing Kickboxing, K1, Muay Thai, Karate etc whilst you were competing at Judo/BJJ? Nope, I started learning striking in the MMA class, and have taken so many punches to the face it’s hilarious. Chris (my coach) then arranged for me to start doing pad work with Sam Thomas who’s one of the Thai boxing coaches at the academy. He’s really helped me a lot with my striking the past few weeks and invested a lot of time in helping me. I’m extremely grateful to him and all my teammates. You finally had you’re first amateur MMA fight at SnA for which you won via Kimura Keylock in the first round. How did that finally feel to get that first MMA fight out the way with all the false starts you’ve had previously due to scheduled fights being cancelled through opponents being injured? It’s been very frustrating the past few months because of pull outs. If you don’t want to fight don’t sign up to it, amateur is all about gaining experience whether you win or lose. When I finally did get to fight on SnA I was ecstatic; especially against a good opponent who I knew wouldn’t pull out due to ‘injury’. Jade was a decorated fighter who I knew wouldn’t pull out as she was confident in her abilities so it made it all the more nerve-racking. There’s no other feeling like fighting in the cage and I want as many fights as I can get! 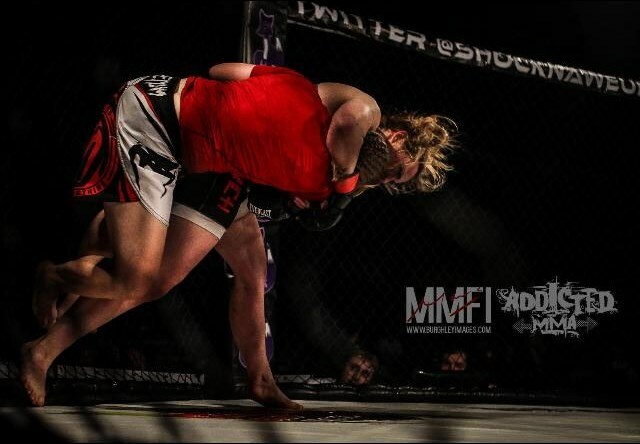 Can you talk me through the experience you finally felt achieving your first amateur MMA fight? Was it any different to what you had ‘thought’ it would be like? Once at the venue knowing the crowds are there, walking out to the cage and into the cage and of course the fight itself. I loved every minute of fighting, but the nerves are like nothing I’ve ever experienced. I spewed the day before and a few times on the day of the fight due to nerves, I’ve never been that bad before! Then in the last half hour before the fight everything changed and I became this aggressive psycho who just couldn’t wait to get in the cage! And then after the win I felt on top of the world, there’s really nothing else like it. You’re competing on UIC 14 at GL1, Gloucester, this Saturday, February 21st in your 2nd amateur MMA fight. How are you feeling this time? I feel just as nervous, but also excited. I have more self belief this time round and I’ve been training hard. You’re facing the UIC K1 Flyweight Champion Laura Handy, do you know anything about your opponent? do you watch your opponents fight video’s or do you leave that to your coach/team and you take their instruction in what you need to focus on? Yeah I’ve had a look at a few of her fights, but it’s always down to what my coach Chris wants me to do. He has so much experience in coaching that I know he knows what’s best for me and so I put my trust in him to decide! At first that was hard as I’m stubborn, but after so many grappling comps where I’ve followed his instructions and won that stubbornness quickly went away! This is a classic ‘striker vs grappler’ fight and it’s fair to say with Laura being a K1 Champion and yourself a BJJ champion, for the fan watching this is a great match-up made by Paul Sutherland. Where do you see the fight going yourself? Naturally were both going to want to go where we feel our strongest. I’ve been putting in a lot of effort to round-up my game. Obviously we are both going to imagine ourselves winning, nobody steps into the cage expecting to lose. I’ll do my best, and she will do her best, and whoever is the better fighter will win. Has anybody ever referenced you to ‘Ronda Rousey’ at all with your Judo background and your Arm bar submissions in BJJ along with your sleek ground game? Chris says I have a moody face like her! I get where it could come from but not really.. We both did judo but she was Olympic standard whereas I was very very far away from that standard! Is there any sponsors or anyone you would like to thank for this fight? Tatami Fightwear for providing me with free BJJ kit! And although obviously they aren’t sponsors but they buy me snacks and give me lifts, I’d like to thank my teammates, coaches and family! Thank you for your time today Ffion it is much appreciated. You can keep up to date with Ffion on her Twitter page here. If you still require tickets for Saturday’s event click here.